Parag Milk Foods Ltd is one of India’s elite private sector dairy company, with a diverse portfolio in over 15 consumer centric product categories. 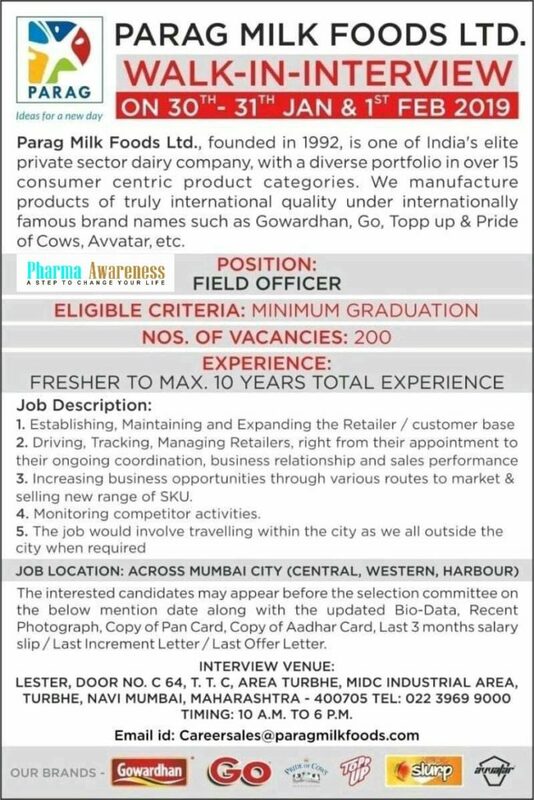 Parag Milk Foods Ltd Hiring 200 Graduate People. Parag Foods pride for providing the best global source of expertise and scientific knowledge in support of the development and promotion of quality cow’s milk and milk products, to offer consumers nutrition and health.